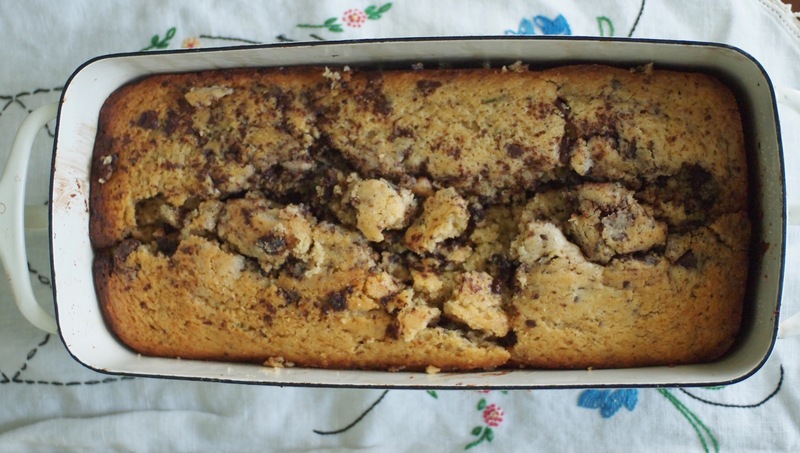 This decadent loaf is heavenly and unexpected. I’d never thought to pair rosemary and chocolate, but the thought wouldn’t leave my mind once I read the recipe. I have followed Heidi Swanson’s 101 cookbooks site for some time. Her tastes are immaculate and her food styling is simple yet inviting. This cake is the perfect missing piece to the first day of autumn. Rosemary is one of those distinct cool weather flavors and chocolate is soothing to the soul. A good dose of olive oil heightens this cake to superlative levels. 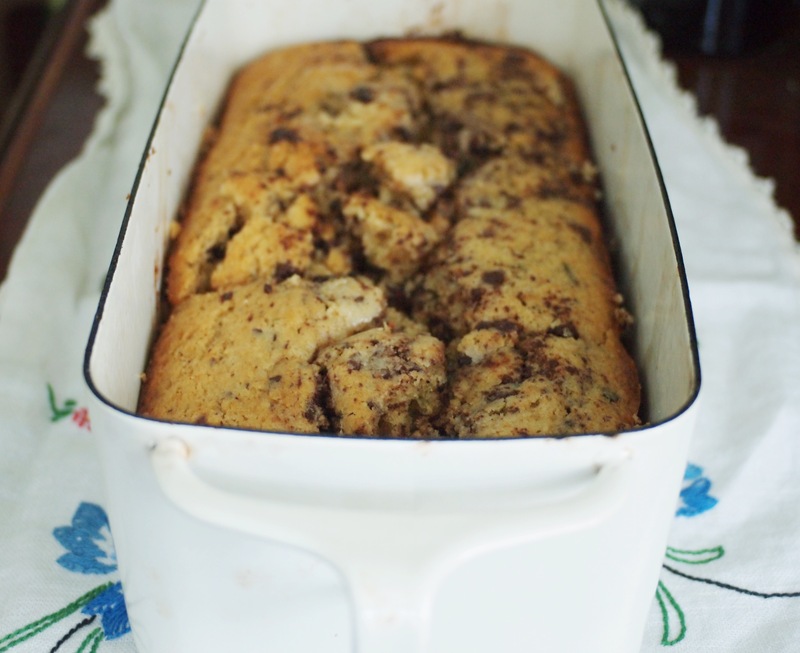 I think this loaf looks extra scrumptious in my Dansk Kobenstyle loaf pan! 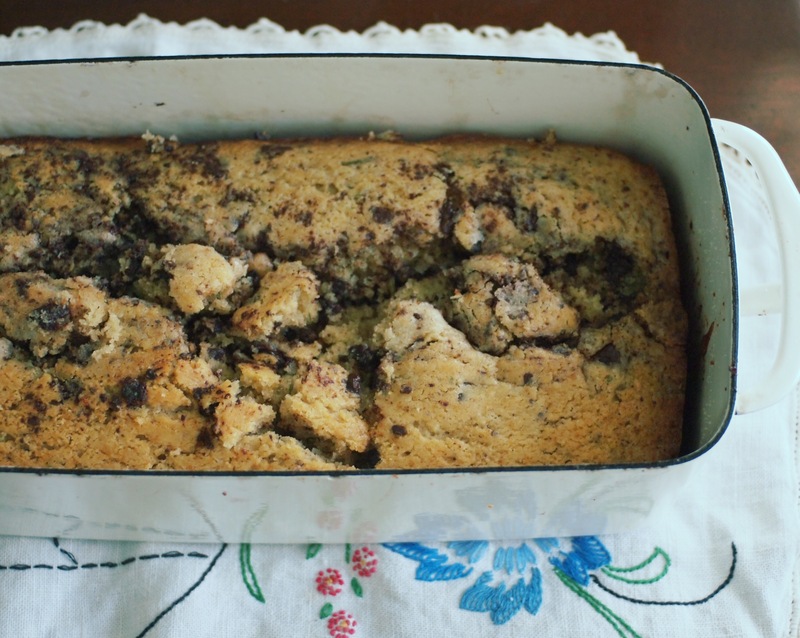 This cake should use varying chunks of a high quality dark chocolate; the effect wouldn’t be the same with plain chocolate chips. Of course, the best part of this cake is it can be made waste free! I used Rosemary from my garden and homemade cashew milk. This is also a good cake to make near Halloween (or Samhain) as rosemary is a great herb for remembrance.